In this paper, we consider projection estimates for Lévy densities in high-frequency setup. 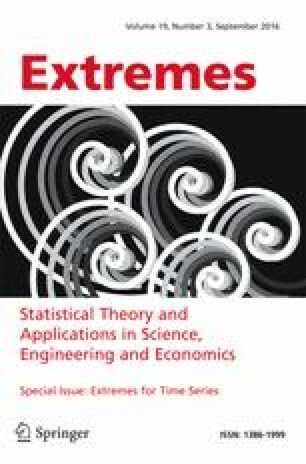 We give a unified treatment for different sets of basis functions and focus on the asymptotic properties of the maximal deviation distribution for these estimates. Our results are based on the idea to reformulate the problems in terms of Gaussian processes of some special type and to further analyze these Gaussian processes. In particular, we construct a sequence of excursion sets, which guarantees the convergence of the deviation distribution to the Gumbel distribution. We show that the exact rates of convergence presented in previous articles on this topic are logarithmic and construct the sequence of accompanying laws, which approximate the deviation distribution with polynomial rate. The article was prepared within the framework of a subsidy granted to the HSE by the Government of the Russian Federation for the implementation of the Global Competitiveness Program.